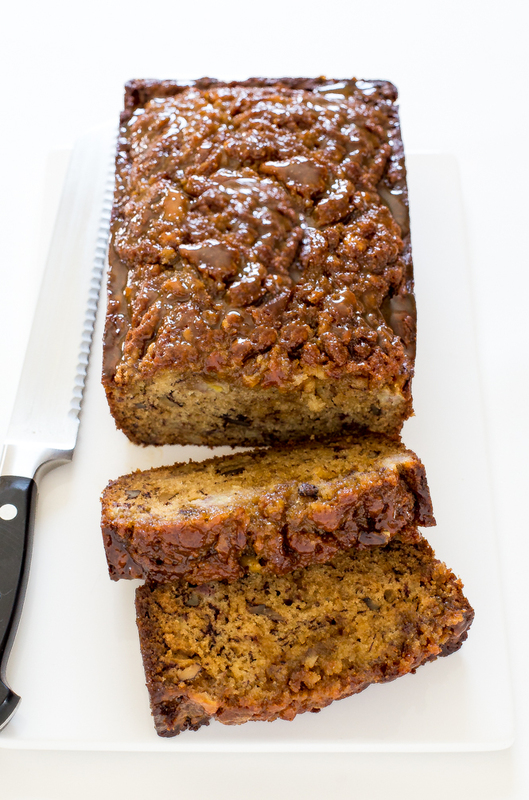 Super Moist Dulce de Leche Banana Bread. 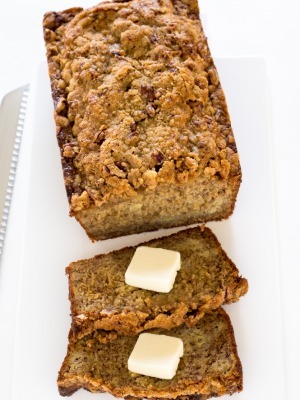 The BEST banana bread you will ever have! I’ve been on a banana bread kick lately. 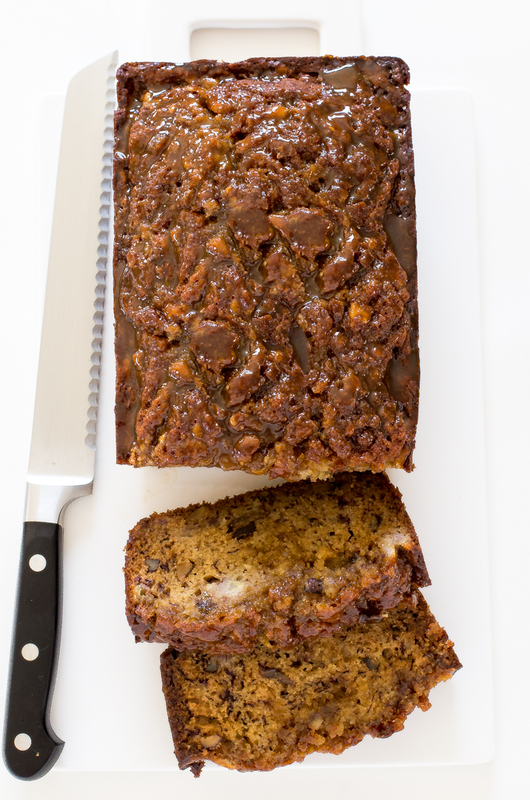 It makes the perfect snack or breakfast and this Dulce de Leche Banana Bread is no exception. 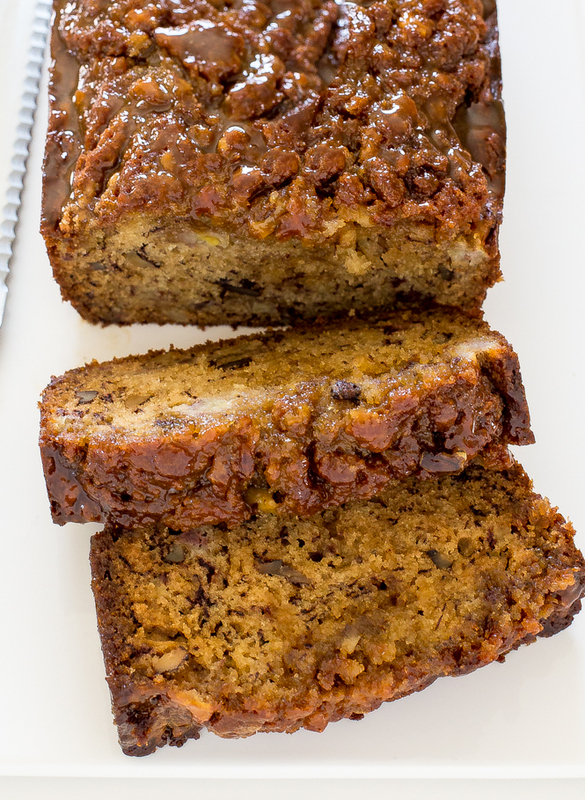 This banana bread is incredibly moist, perfectly sweet and swirled with lots of dulce de leche sauce. It is AMAZING! I made my own dulce de leche sauce for the bread. 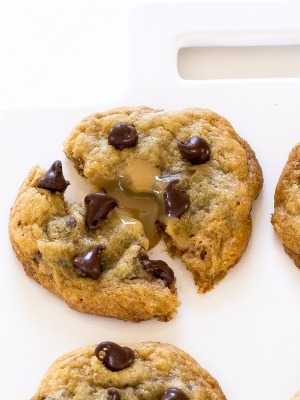 It’s super easy and only requires 1 ingredient! 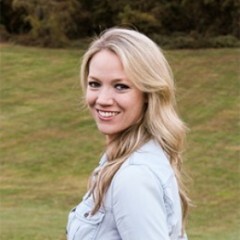 Simply place a can of sweetened condensed milk in the slow cooker and fill with water. Cook for 8-10 hours on low. That’s it! Store in your fridge for 3 weeks to serve on ice cream, bread or brownies. If you are short on time you can also get premade dulce de leche at the grocery store. Trader Joe’s makes an awesome version! For added crunch I like to add walnuts to the batter. Raisins or chocolate chips would also be amazing. Enjoy! With the mixer on low add half of the dry ingredients followed by all of the milk. Mix until just combined then stir in the rest of the dry ingredients and the walnuts. Do not overmix. While the bread is still in the pan and slightly warm poke holes in the top of the bread with a toothpick. Drizzle more slightly warmed dulce de leche on top. (I did about 1/4 cup). Allow the bread to cool completely before releasing from the pan. Place the can of condensed milk in the slow cooker on it's side. You do not need to peel off the label. Add enough water to completely cover the can. Remove the can from the slow cooker using tongs and place into cold water to cool before opening. I usually wait about 10-15 minutes before opening. Store the dulce de leche in an airtight container and enjoy for up to 3 weeks! 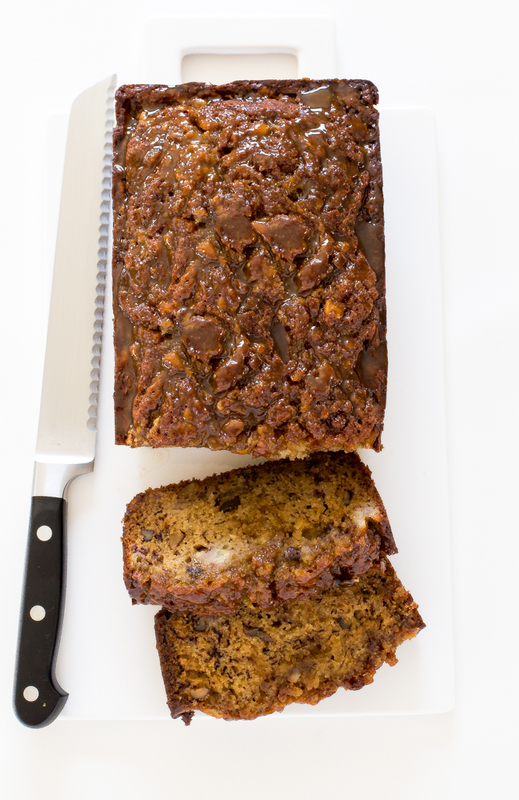 Just when I thought I couldn’t love banana bread any more, you go and put this out there. Seriously this looks AMAZING. Pinned!